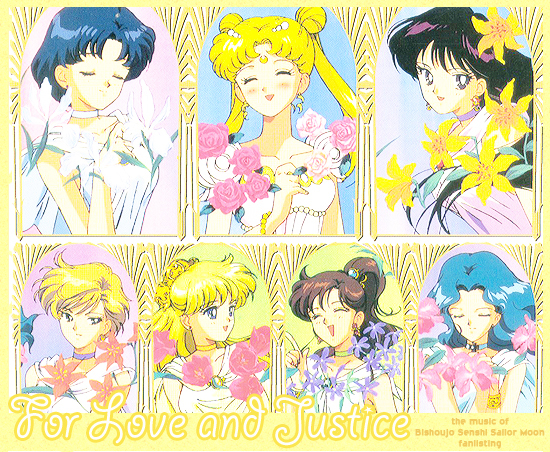 This is the first poor version, that features the illustrations from the S series ending, Tuxedo Mirage. Bishoujo Senshi Sailor Moon is created by Naoko Takeuchi, published by Kodansha, anime and movies by Toei animation, all rights reserved. This is only a fansite and the webmistress doesn't inted to violate those rights. Layout and contents are (c) Akira K.S. since March 5th, 2011 . Do not reproduce without permission. Images are from Minitokyo, patterns by Hybrid Genesis. Contact me?